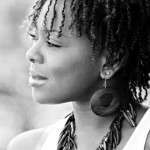 How Forgiveness Can Shut Your EGO Up - No BS! 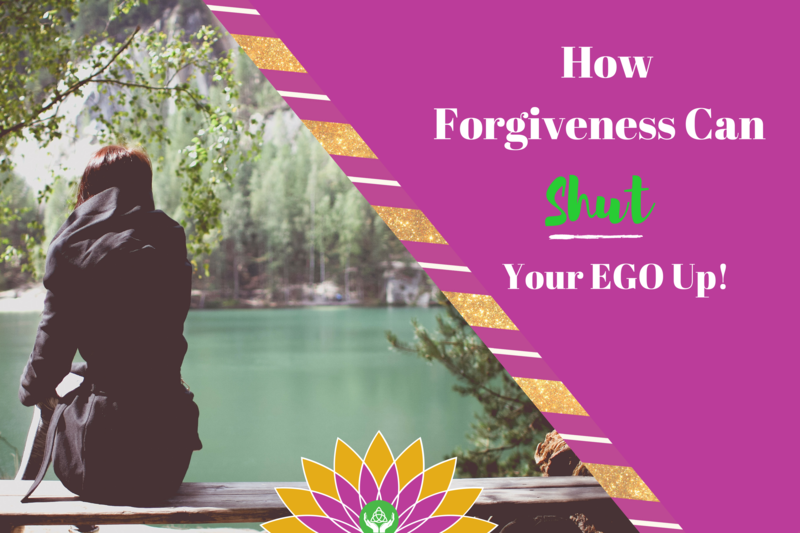 If you want to learn my secret formula that will help you figure out How Forgiveness Can Shut Your EGO Up… keep reading. Repeat after me, “I will let all my ‘ish’ goooo”. Now take a big breath in through your nose and slowly exhale it out through your mouth. How do you feel? If you live on planet earth, you’re no stranger to hurt, disappointments and sadness. I’ve had my fair share of a large serving of all three. What I know is that after I went through the pain of each; I discovered that to feel good again I needed to let all the crap I was holding on to go! When I say crap, I mean all the pain. The only and best way I found to do this was through the awesome art of forgiveness. When I choose to forgive, I was able to turn the lens around and look at myself and I mean really looook at myself. I choose not to blame anyone for my pain. I looked deeply at my pain to see how it could help me heal and be a better person. I learned over time that when we pass blame onto another person, we miss out on valuable moments to shine love. Even if a person has wronged us and caused us pain. Forgiveness and love are always the way to go. My experience is, once I started to see all the pain I endured as a blessing, great things started to show up in my life. I also saw the lesson in them, which helped me to start living a healthier, wealthier and happier life. I learned that going through pain is never really a curse. Instead, it’s a beautiful blessing. Pain helps us to see the world through different lens. Also, I learned that I needed to see everyone that I feel had hurt me in some way as myself. I needed to see them as a beautiful part of the same universal body of love that I was a part of. This was super important because It allowed me to see myself as a connected source and not a separate entity. So, If I hold a grudge against another person… ultimately I was holding a grudge against my darn self. Crazy, right? I know! Now I try my darnedest to keep it in mind that like me, they too are walking their own unique life journey. They are trying to figure this ‘life’ dance out. Their path and journey will never be the same as mine, nor should it be. Their life experiences and stories are totally different from mine, which is universally intended. Here’s a secret that’s not really a secret! A lot of our pain comes from unrealistic expectations we have for a person. We expect them to treat us a certain way and behave a certain way around us. This idea is solely born out of the ego’s falsely created ideas. Through the reading of ACIM, I’ve come to understand that our egos have a superiority complex. This means that it is always trying to convince us that others are out to GET us. When we think like this, guess what! We tend to pull those people right into our realities. And all of a sudden it seems that we are indeed surrounded by people who are out to get us! Here’s the thing, this happens because we have chosen to focus our energy on this idea. Which means we’ve set the energies in motion to react to our beliefs. So naturally what’s going to happen is, we’re going to create what we believe in our current realities. Anything we put energy towards will increase in our lives, whether it’s good or bad. This is the very reason it’s so important to focus on the good things in your life! I’m sure you’re familiar with your ego, but if you’re not, check out this video (insert video link). The ego is that annoying little voice in our heads. This voice tells us we’re not good enough. It tells us that we’re not lovable enough and deserving enough to have great things happen to and for us. Once I realized what that voice was, and that it was telling me lies, I packed it’s bags and tried to kick it out my head. I learned first hand that it wasn’t going to be that easy to do because the ego isn’t a real thing. So to combat it you will have to dedicate yourself to feeding your mind with a new narrative. Your new narrative will have to be positive and loving messaging. Which will override the false narrative the ego has fed you for years. You’ll have to dedicate every day to chipping away at the old messaging so it will have no more room to live in your head. Thus, forcing it to move out for good. You’ll see that once you start to do this, positive people and things will start showing up in your life. I mean, they started to show up the right way for me. You can’t just say it, though, you say it with conviction and walk away from it. Then show unwavering trust that it will show up in your life at the right time. Once it does drop the mic and walk away because you know it’s in capable hands, the hands of the Divine. 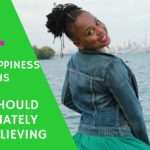 Here’s the thing, If you truly want to be happy and see positive shifts take place in your life. You must adopt this new way of thinking. Truly devote yourself to genuinely learning How Forgiveness Can Shut Your EGO Up. Let me tell you, it’s not an easy thing to do, but you must do it. Make it a part of your daily practice. When I feel that I am hurting from an experience or from what someone has or has not done to me. I stop and go quietly. This is why I can dive deep within myself to hear that ever so wise guidance from the Divine. This guidance will allow me to think rationally about what has happened. I am better able to see that the person acted out of their fear body instead of their love body. Showing me that their actions had nothing to do with me. Don’t believe the lies your ego will try to tell you. Feed your mental space with positive words. Forgive others so you can free yourself from any past pain. See yourself in the other person. This way you are able to deal with them from a place of love. See the person who hurt you as a hurt person themselves. See them as people who are also going through life, trying to figure out their path, just like you. Change your internal narrative (the things you tell yourself) to a positive one. You can learn How Forgiveness Can Shut Your EGO Up by replacing the negative words with positive ones. When you do this, the ego will no longer take up prime real estate in your precious head space. Remember, the ego is NOT REAL, it’s a state of madness we’ve created to manage our way through life. Now, I would love to hear your thoughts. If you have some advice on forgiveness and the ego, leave your comments in the comment section below. If you liked… no, scratch that! If you loved this post and want more tips and personal information from me, subscribe below. As always I want you to never forget that you’re a super incredible human being. You were sent here to enhance the world with your light and love! So, go out and shine your love as bright as you can in someone’s world today and every day after. Thanks for stopping by! You keep me inspired. See you on the flip side my darlings! Be great to each other. So true, forgiveness is something I struggle with. Sometimes you have to forgive people who aren’t sorry and learn to accept an apology you never received. Yes, when we forgive someone we are taking our power back. We are not allowing a word, a behaviour or a situation to control us. Forgiveness holds freedom for each of us. This is so great! Thanks for your honesty! 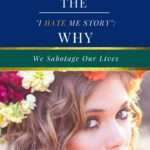 My experience….part of the conclusion of forgiveness is that the people you need to forgive haven’t even given you a second thought. So the only person your hurting is you. Let it go and let God! You got that right Lisa!! 🙂 I love allowing Source to “take the wheel” for things outside of my control. Thanks for popping by to share some love! Awesome post. Even though its really tough. Forgiving someone is almost like on a godlike level. Most people in the world can’t or refuse to do it. Well put Mari!! I will absolutely check out your blog!! Great message. Forgiveness is not an easy concept in this day and age. You really have to dig deap and self reflect to push past the ego to forgive. I love posts like this, thank you for sharing. You are welcome Michael! I’m happy you’ve enjoyed reading.